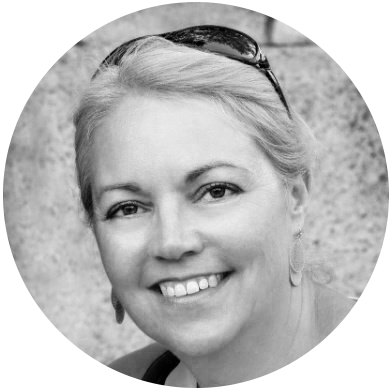 Francine is focussed on helping hospitality professionals to see the true value of marketing in reaching the right audiences and converting opportunities into bookings. Wellness tourism was worth $563 billion globally in 2015 and is expected to grow by 9% in 2017, nearly 50% faster than overall global tourism. The growth in this tourism sector follows a developing understanding of personal health and wellbeing, particularly amongst the younger generation. Wellness tourists are also said to be willing to spend 130% more than regular tourists. 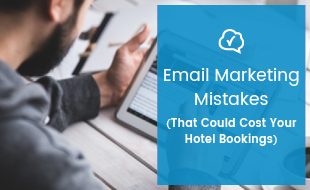 How can hoteliers benefit from such a trend? How can you offer activities to aid the healthy balance of mind and body and how can you integrate a wellness lifestyle into your business? Does this development have to cost you a lot? On a basic level, wellness tourism is often a sector synonymous with destinations offering yoga and spa retreats or detox packages – today, with the rising trend born out of travellers looking to escape the stresses of life improve their well-being the sector is far more extensive. Millennials especially are starting to explore the idea of what it means to be ‘healthy’ by exercising more, smoking and drinking less, eating better, and generally being aware of what their body and mind need. Despite their consumption in other areas dropping, Millennials are increasing their spending on fitness gear, for example, and more studies on mindfulness have resulted in more awareness around mental health and the effects of stress. Wellness awareness also extends into diet, exercise, medication, sleep routines, and a general notion of self-improvement and healthiness. As people are becoming more attentive to their own health, they are looking to extend their wellness routines into all aspects of their lives, including their vacations. As mentioned, spa, yoga, and lifestyle retreats are often brought to mind when one thinks of wellness tourism and these foundations offer relaxation and an understanding of the mind and spirit. However, such places can be inaccessible and exclusive to many tourists and, as an hotelier, they can also be expensive establishments to set-up and maintain. Luckily, there are less costly ways to bring aspects of the retreat culture to your own hotel; for example, thinking about providing or improving upon wellness-focused areas such as fitness, nutrition, relaxation, and culture. What elements of wellness tourism does your hotel already offer? One of the most convenient characteristics of wellness tourism is how it finds its roots in other areas of the industry – drawing from food, sport, relaxation, and culture – so hoteliers may have elements of wellness tourism already in place at their hotels. Perhaps your hotel has gym facilities or even a spa? The discipline that comes with wellness awareness means these tourists are willing to spend more than other tourists. Due to the lucrative nature of the wellness getaway, it is extremely beneficial to develop and capitalise on such amenities. This can be done in some simple and inexpensive ways. Exercise – Physical fitness epitomises the proactive nature of wellness by keeping the body healthy and preventing the contraction of disease. More and more studies show us that regular exercise leads to a happier mind. If your hotel already has a gym, ensure that your machines are running well and have someone on hand to offer advice on exercise. It is also good to keep the gym well-ventilated to create a fresher atmosphere and ensure your guests return. If your hotel does not have gym facilities, provide wellness tourists with information about local leisure centres or popular jogging and cycling routes. Outdoor activities – Following on from popular paths, it is good to know your environment and area so that you can advise of nearby walking routes and vista destinations to promote outdoor activity. Thinking about local attractions and advertising your proximity to them can be a key marketing tool; if you promote another company, they might promote yours. Using social media, you can tag destinations on your heritage walks to notify them and they can easily share your post with others. Similarly, arranging trips – either to local areas or those further afield – shows an understanding of what your guest wants from a vacation and might go beyond what is expected. Wellness tourists will appreciate the outdoor activity and the cultural knowledge gained from the local area, with the modern tourist hoping to experience something unique on vacation. Spa and sleep – Although spa retreats can be expensive, tapping into certain aspects of spa treatment will attract wellness tourists. The relaxation of spa-like elements promotes healthy spirits, emotions, and mind. Set aside a room – one with good views – as a massage room and look up a local masseuse/r who will work with your guests. You might also provide beauty treatments such as waxing in a similar way. Publishing photos of bright rooms with less furniture and clean towels on your website and brochure helps market the vision of spa and relaxation. The easiest and most cost-effective way to ensure relaxation for your guests is to provide quiet and calming bedrooms. A general atmosphere of peacefulness and cleanliness lets the guests feel they have escaped their everyday lives. Food and drink – Diet and nutrition is a significant area of a wellness lifestyle, and can be a strict personal regime. The amount of dieting advice and options might be overwhelming: it is difficult to provide for every dietary need. A wellness tourism destination should ideally offer healthy meals with fewer carbohydrates, more fruit and vegetables, and a balance of vitamins. It is also easy to provide gluten-free and vegan options once you have done your research. Market these options everywhere – on your social media, menus, website, brochure, in reception – to show how accommodating you are. A wellness tourism destination should ideally offer healthy meals with fewer carbohydrates, more fruit and vegetables, and a balance of vitamins. Ensure that you are serving exactly what you are offering, as what people eat is highly important to them. Keeping your staff well-informed about what different diets consist of, how the food is prepared, and teaching them how to discuss requirements with guests will create a bond of trust between your personnel and customers. Offer complimentary healthy snacks in place of chocolate, and provide juice options in mini-bars. Classes – Hosting educational or spiritual classes for wellness tourists is a great way to fulfil their expectation of opportunities for physical and mental self-improvement. 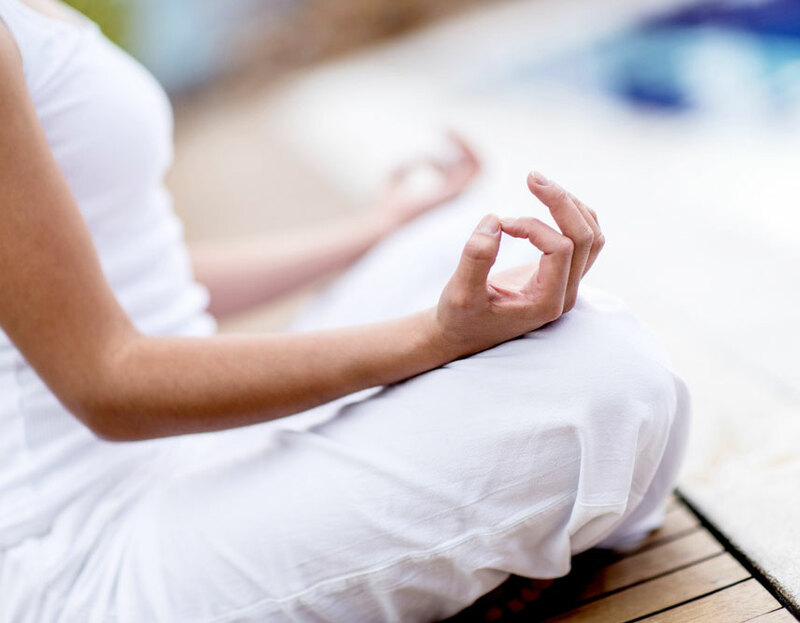 Mindfulness and yoga classes are good technical basic courses for wellness getaways. You might approach local practitioners and offer them use of your facilities at discounted rates, if they accordingly give your guests a reduced price for classes. You could also offer talking therapy groups which might include conversation while walking in a nearby park and does not need an expert to run it. You might approach local practitioners and offer them use of your facilities at discounted rates, if they accordingly give your guests a reduced price for classes. Painting and craft classes are a perfect way to boost relaxation and promote culture and learning. To save the expense of hiring an external expert, hoteliers may want to offer cooking classes hosted by their own kitchen staff: this creates a greater rapport between staff and guests and taps into the cultural aspect of wellness tourism. Advertise regular classes in brochures and market classes with a less structured timetable in the reception and on social media. As wellness tourists look to improve themselves, they are inadvertently improving the tourism economy and profiting hotels and businesses. This trend appears to be becoming a permanent fixture in our lives, so by following simple advancements to help your hotel capitalise on the wellness movement – such as those listed above – hoteliers can fully benefit and create their own professional wellness. Learn more about how people are finding you online, or why they aren't. 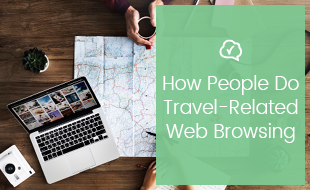 Click on the banner below to download our infographic booklet on 'How People Do Travel-Related Web Browsing'.